Here is my favorite music quote by Jack Johnson. "Love is the answer, at least for most of the questions in my heart." I often listen to Jack Johnson when driving in the car with my two young sons. I find the music soothing, and appropriate for little ears. This particular quote stands out for me when we are listening together. It constantly reminds me of the passion that I have for my family, why my husband and I are working so hard together, and what our goals are for our lives together. I also recently changed careers, from something high-paid and powerful that felt very wrong to my soul to a position where I am able to make a concrete, significant difference in the lives of children and enjoy more time with my family. It has not been an easy transition, but definitely a worthwhile one, and one I would choose again. Again, why did I make such a choice? It might be hard, but it is worthwhile. 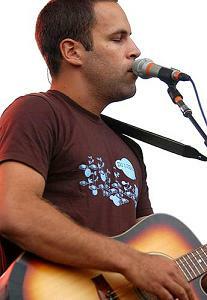 This Jack Johnson song sums it up – love is the answer.